If you’ve been following The Penny Hoarder for a while, you’ve doubtless heard us rave about Ibotta. And for good reason: It’s a simple way save money on groceries — even super-healthy ones like produce and fresh meat. The app couldn’t be easier to use. You just buy the things you need as usual, then snap a quick picture of your receipt on your cell phone. Click submit and boom: Cash back! Quite a lot of cash back, as it turns out. The company just celebrated a big landmark: It’s distributed more than $100 million in rewards. It took three years and a lot of receipts — about 50 million! — to get there. That means Ibotta has access to a ton of product pricing information. And its research team has made some pretty interesting observations from all that data. Who knew, for instance, that Tuesday is actually the best day of the week? Ibotta’s researchers used pricing information from user-submitted receipts to draw conclusions about where and when to buy items to get the very best deal. For example, according to the study, you’ll most likely score the best bargain on a bottle of wine on Tuesday — and the best places to shop for it are Sam’s Club, Walmart and Walgreens. Move over, Friday. There’s a new “TGI” contender in town. Trying to stay safe in this ridiculous summer sun? The cheapest day to buy sunscreen is Monday, and your best bet shops are Target, Walmart and Dollar General. … but the weekend, of course, is the most expensive time to shop. You can find the full details in Ibotta’s nifty graphic below. Strategically choosing which day to shop for which items is just the beginning — we’ve got tons of ways for you to save on groceries! Deal-stack by shopping on the right day and also using coupons and a cash-back rewards credit card — and, of course, Ibotta itself! If you do those four things, you’ll already be well ahead of the game. But if you’re hungry for even more ideas, check out these ridiculous (but effective!) 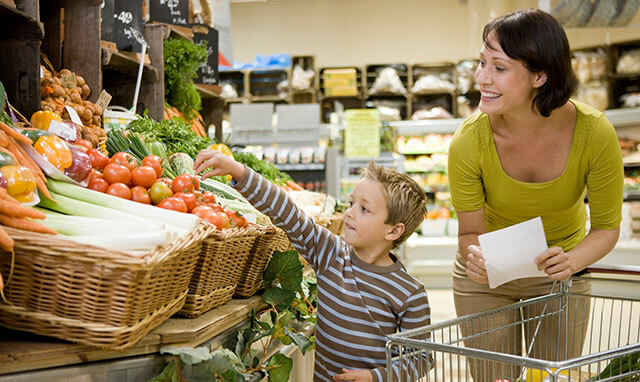 ways to save money on your groceries. For instance, betcha didn’t know you could earn $20 a month just for talking about your food! Your Turn: Will you start buying ice cream on Monday? Disclosure: Every time you click an affiliate link in this post, Kyle’s favorite Taco Bell order magically appears at his desk. OK, maybe that only happens in his dreams. But your clicks help us keep The Penny Hoarder HQ full, happy and working hard to help you save!